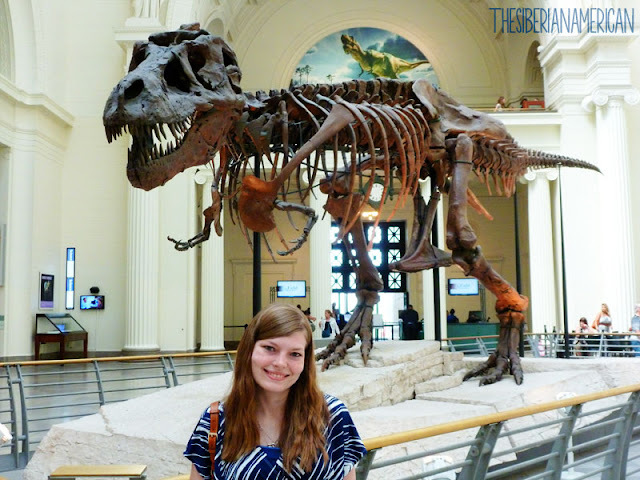 When my in-laws were in town, we accidentally ended up going to The Field Museum. We had planned to go to the Shedd Aquarium, but the line looked like it was two hours long, so we decided to give The Field Museum a try. Honestly, I wasn’t sure what to expect. 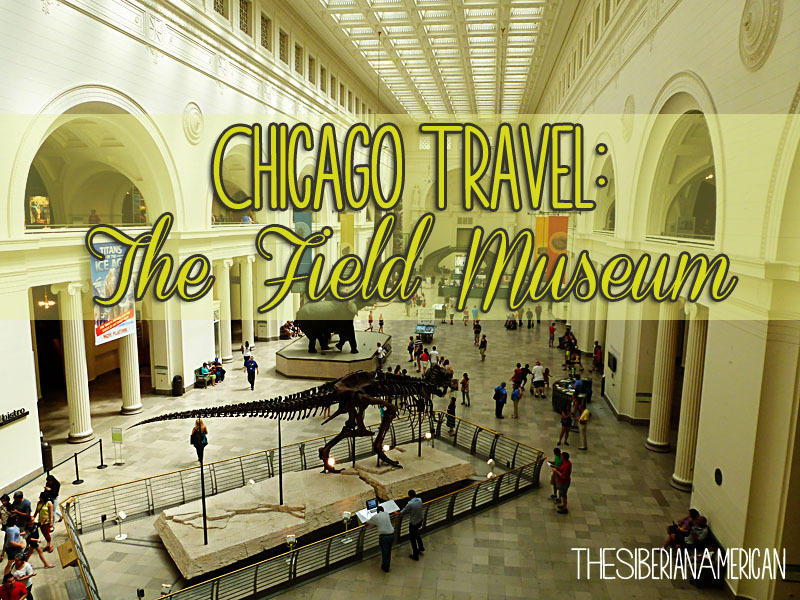 I had originally had it on my list of things I want to do in Chicago this year, but I took it off because Chris told me it was a museum for kids. Actually, it is one of the largest natural history museums in the world and turned out to be one of my favorite things that we did while my in-laws were in town. The Field Museum was founded in 1893 as a way to display leftover artifacts from the World’s Columbian Exhibition in Chicago, also known at the Chicago World’s Fair. I have been fascinated with the Chicago World’s Fair ever since I read The Devil in the White City by Erik Larson, so I was instantly interested once I knew the museum included items from the fair. I was especially eager to see the Tiffany collection of gems, which did not disappoint. The exhibit that featured the collection, known as the Grainger Hall of Gems, is both beautiful and interesting. Each case featured a description of a precious gem, including how it is formed and where it is found with gorgeous examples of the gem set into stunning jewelry pieces. 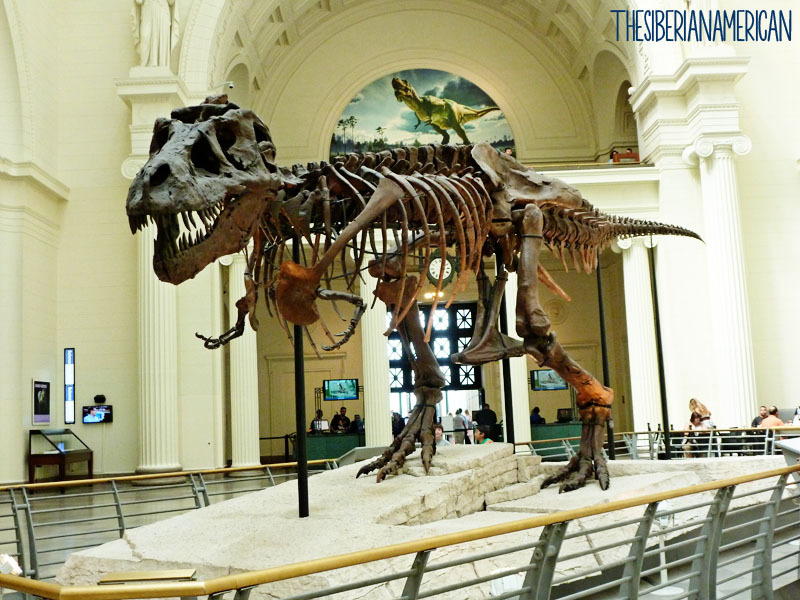 When you enter The Field Museum, you are instantly greeted by “SUE,” the largest, most complete, and best-persevered Tyrannosaurus rex ever found. This fossil is massive, measuring 42 feet long from snout to tail and is more than 90 percent complete. In fact, its skull is so heavy (600 pounds), it is on display upstairs with a replica attached to the rest of the skeleton. Along with SUE, we enjoyed the Evolving Planet permanent exhibit, which takes you on a journey of four billion years of life on Earth and the Inside Ancient Egypt permanent exhibit, where you walk through a three-story recreation of a matsaba, which includes two authentic rooms from a 5000-year-old tomb. The Cyrus Tang Hall of China recently became a permanent exhibit and is a fascinating journey through China’s dynasties. The Field Museum also features several special exhibitions that change throughout the year. While we were there the special exhibits were China (which is now a permanent exhibit), the Vikings, Mammals and Mastadons, and the Underground Adventure (all about dirt and bugs, no thank you!). 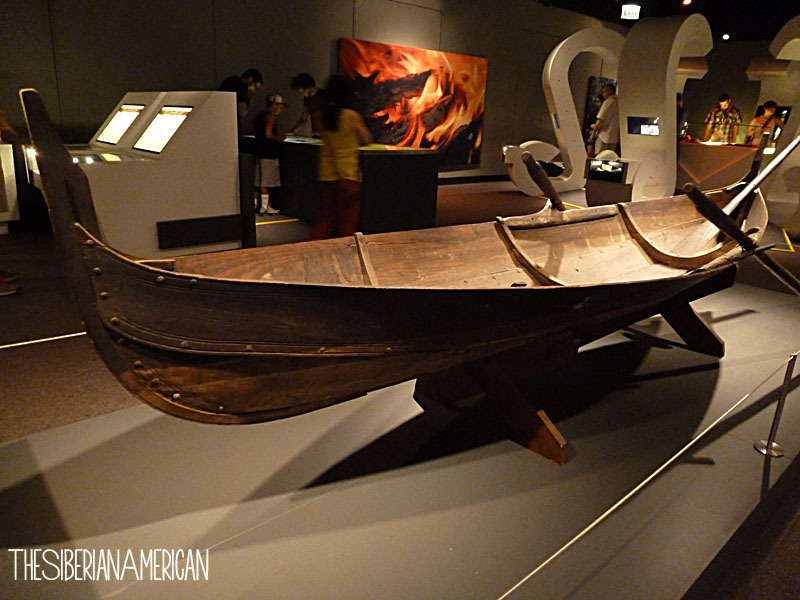 I loved the Viking exhibit, which included everything from a boat replica to what the Vikings ate. With so much left to see, Chris and I could easily spend several more days at The Field Museum. We might have to do just that when the special exhibition on the Greeks arrives in November. So cool, I would love to see that someday! Totally adding this place on my places to visit when I finally visit Chicago. It looks awesome. wow! it looks amazing. i love it when you don't expect much and then it turns out to be better than you thought. that's crazy about SUE, I would love to see that! That does look fun! You guys jam packed their visit with interesting things! All of the Tiffany jewelry would definitely be on my to see list too! Sometimes you end up having the most fun when you stumble upon something you weren't expecting in the first place. I so want to go to Chicago and is on my list for the next year. I will keep this in mind! My husband would be all over this museum! Will definitely have to bookmark for a future Chicago trip! I've been there a few times, and the last time, they had a special exhibit going on the Chicago World's Fair--it was fascinating!! I would go just to see Sue! It sounds awesome! I'm obsessed with Seattle's World Fair since my mom went to it when she was a little girl and it's why we have the Space Needle. So weird...in the past couple months two bloggers have mentioned Erik Larson. I had no idea who he was until Michael's college graduation in 2013 when he was the commencement speaker. And the only times I've heard of him since were in those two blog posts! Oh my gosh look at all your travels!! Just found ya and can't wait to see more!! I love the Field Museum! 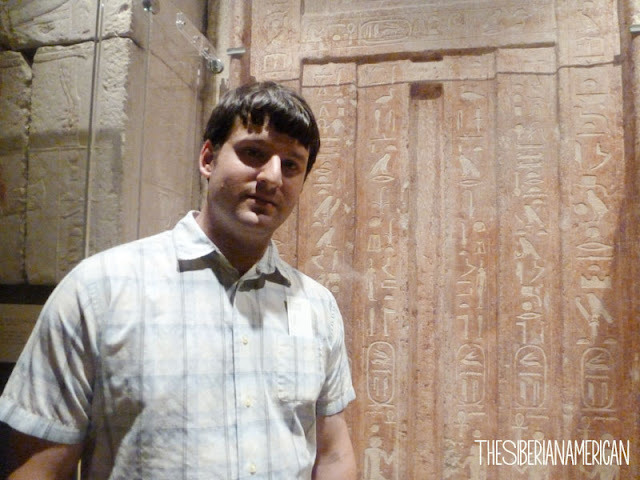 I thought the Ancient Egyptian exhibit was so interesting. That is totally on my list of places to go if/when I finally get to Chicago. I have wanted to see Sue for YEARS! I will tell everyone here about the best visa service to get a visa to visit Vietnam. And if you want to know that service, just Click here to see and you'll know the best visa service.